This post is a little bit different but after a thorough search of the internet, I could not find a website that listed all the trails available at Big Bend National Park. So, I gathered everything I could find and compiled a trail list. I know that it's not all-inclusive, but it does cover a large majority of the trails available. A few notes to keep in mind. All distances are one way, so if you want to make a round trip double the distance. I described out & back trails as trails that do not end or begin at another trail. Linear trails are defined as a trail that begins or ends at another trail. Also, be mindful that my short descriptions and area groupings don't do justice to the true nature of the Big Bend trail system. It is just to be used as a quick reference. Want the Spreadsheet? Download it here. 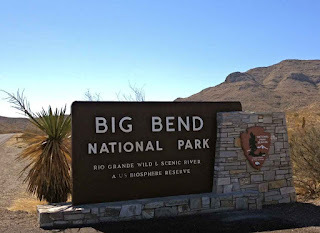 I would like to keep improving the list for those who planning a trip to Big Bend, so if I have anything wrong or you know of a trail not on the list please let me know. Plus, if you have any thoughts on better organization, I'd love to hear that too. If you have ever been to Big Bend National Park, I would love to hear your story and learn your favorite locations. Also, if you like the blog follow us on Facebook to keep up to date.